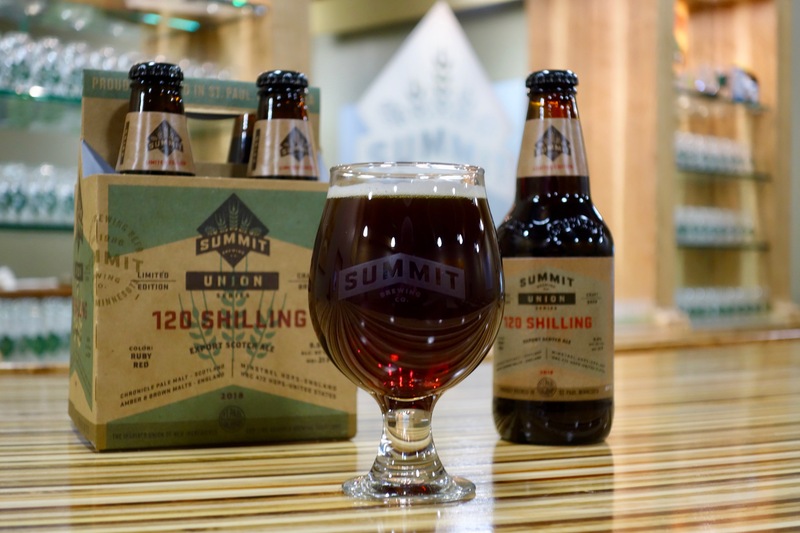 Summit Brewing Company has crafted another stunning sipper as part of their Union Series. The 7th beer in the Union Series is 120 Shilling, an Export Scotch Ale. 120 Shilling is a 9.5% ABV beer that showcases Bairds Scottish Ale Malt, the embodiment of malty Scottish tradition in beer. Up until now, Bairds Scottish Ale Malt has only been available in the UK. 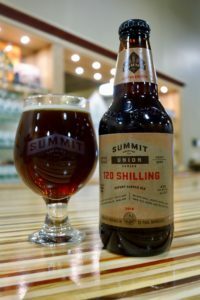 Leave it up to Damian McConn, the Master Brewer at Summit, to find a way for that ingredient to debut on U.S. soil in a Summit beer. Thank goodness he has such a good relationship with the Country Malt Group! While this winter will probably pass slower than your mother-in-law’s meatloaf, 120 Shilling will be the perfect accompaniment for those moments of peaceful contemplation in your easy chair as you watch the snowflakes fall. Since this is a time of merriment and celebration, look to pair this beer with your Sunday roast or your famous beef stew recipe. 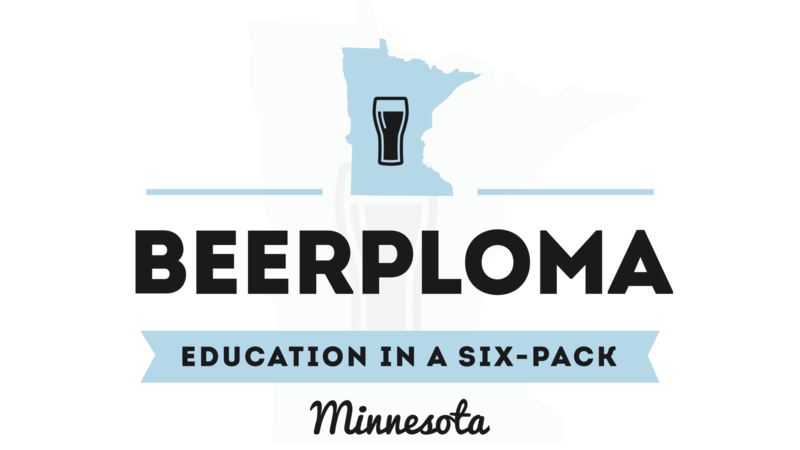 What this beer will not pair well with is a relative who answers a question with a question and hassles you about why you never went back to school to become an architect. This beer is worthy of your fanciest snifter. If you drink it in a plastic cup, I will find you and give you one of my patented awkwardly long hugs. Trust me, it isn’t a good situation-just ask my Mother-In-Law. 120 Shilling looks beautifully remarkable in a glass. The deep red hue of the beer will get your eyes popping and bring a zing to any holiday outfit. Let it warm up to release all the flavor notes. When I uncap 120 Shilling, I immediately smell toasted malt. I get notes of toasted bread, nutmeg, shortbread, and a bit of coffee. The flavors in this beer are warm and familiar. I feel like I am visiting my grandma’s kitchen during one of her marathon baking sessions. I adore the nutmeg and allspice notes in 120 Shilling. They don’t overwhelm and there is a slight bitterness that tastes like coffee or a subtle hint of dark chocolate. The bitterness of dark toasted bread is also there. The mouthfeel is bold and substantial. It has a tongue coating feel that dries out from the bitterness from the roasted malt. This beer will be a great beer to have on hand at Thanksgiving to go along with the pumpkin pie. If the turkey gets dried out, you might want to have six or seven of these bad boys at the ready so the day isn’t a total loss. I also enjoy the building warmth from the alcohol because it is almost lulling me into the perfect zen state of relaxation. So, if you are lucky enough to come across this beer in the wild, make sure you grab a 4-pack or two. 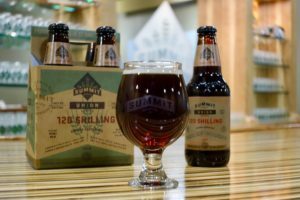 If you want to try before you buy, head over to the Summit Ratskeller and have it fresh from the source. 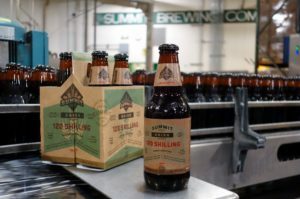 Either way, this will bring joy to your holiday season and make you thankful that Summit cares so much about fancy ingredients and exact brewing methods to bring such a wonderful beer to our palates. Prost!